This year, the Consumer Financial Protection Bureau (CFPB) begins requiring banks to provide consumers with a longer window in which to review loan documentation. The new rule, potentially in effect October 3, 2015, can push closing by as many as six days—to more than a week—longer than usual. Buyers needing to close quickly may need to begin negotiations sooner in order to meet a move-in deadline. Conversely, the changes could give an advantage to all-cash buyers over those needing conventional financing, since sellers looking to close quickly may choose a faster close over a higher take. In a hot seller’s market, cash may be king for the buyer. Originally slated to roll out August 1, in October, the federal government will require that loan disclosure documents contain a combination of both the Real Estate Settlement Procedures Act (RESPA) and the Federal Truth in Lending Act (TILA) in a document known as the TILA-RESPA Integrated Disclosure (TRID). The ruling, known as “Know Before You Owe” must accompany the Loan Estimate and include all charges, fees and line items at least three (business) days before closing. In the past, this information was given to consumers on the day of closing on the HUD-1 form (which no longer will be necessary). The purpose of the changes is to mitigate the potential for surprises at the closing table and offers an advantage to buyers since any increase of more than one-eighth of a percent during the three-day window—or other changes such as pre-payment penalties, additional fees or other items that increase the consumer’s financial responsibility—requires entirely new documentation and another three-day window. Note that a decrease in interest or fees will not cause such a delay. According to the CFPB the new forms are easier to understand and use. During testing, participants returned more correct answers about their sample mortgage using the new forms as compared to the traditional forms. The new form lists the total loan amount, interest rate, monthly principal and interest and projected payments on the first page of the form. Closing costs and cash required to close appear at the bottom of the easy to read page. Specifically, the first section on the face of the document clearly indicates if the amount of the loan, interest rate and monthly principal and interest can increase after the closing, and prepayment penalties and balloon payments are plainly indicated. In the second section, projected payments for the life of the loan, including the years in which increases may occur, gives the buyer the needed information to plan for the future. The primary advantage for home-buyers is that the three-day window allows them to walk away from a deal without penalty in certain circumstances and allows them to more quickly understand the terms of their mortgage. A disadvantage for those needing to close quickly is that bankers, mortgage lenders, escrow officers and other real estate professionals will need to learn the new documentation and set up computer software and other systems to prepare it. If you have questions about the new forms and how to understand them, contact your real estate professional for advice and information. When buying a home with a mortgage this fall, be certain to calculate additional time in closing to accommodate the new ruling. While Spring rightfully is touted as the busiest home-selling season, you don’t have to give up plans to sell your home until nest year. September through December may actually be the right time to sell your home. Conventional wisdom is that once Spring gives way to Summer and school starts, you’ve missed the opportunity to sell your home. After all, families have settled into the new school year and so are less inclined to move. But, as we noted in the post on Preparing Your House To Sell in the Fall, Boomers and Millennials don’t always follow conventional wisdom either when buying or selling. So, if there are buyers out there after Labor Day, how do you attract them? If your home is on the market in autumn and winter months, the last thing you want is to let maintenance slide. Potential buyers are more likely to notice (and ask about) exterior issues, so beat them to the punch by making certain your home’s outdoor systems are in topnotch condition. As leaves begin to fall, mulch or rake them. If you mulch them as you mow, the miniscule pieces of leaves will drop between the grass-blades and decompose, nourishing your lawn. If you rake up your leaves, don’t leave them in a big pile in the yard or on the curb. 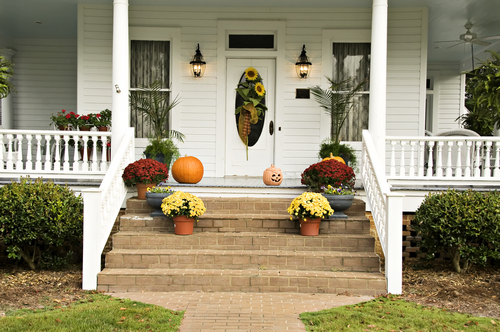 Piles of decomposing leaves and debris reduce your home’s curb appeal. Instead, contact your municipality to learn the best way to dispose of your raked leaves. Avoid pruning shrubs and trees until late in the winter. The healthiest time to prune typically is late winter—just before the spring growth begins. If you aren’t sure about the best time to prune your trees, contact a local nursery or the horticulture department of a local university. One exception to this rule is that if you have any dead limbs or trees, hire an arborist to removes them so that winter winds to not cause them to fall on your home or power lines. Once the need for watering is past, turn off exterior faucets, remove and drain hoses. If your home is more than 15 years old, you likely do not have frost-proof faucets, so turn the shut-off valve to off inside your home. If your home has an irrigation system, hire a professional to drain your sprinkler system so that pipes don’t freeze and break underground during the colder weather. Check your roof. In particular, look for loose, missing or damaged shingles. If you have a steep roof, use binoculars, or hire a roofing inspector to check it for you. If you’ve had hail in your area, most roofing companies offer free hail damage inspection. If you have a flat roof, make certain you sweep up the detritus of the long summer and fall. While checking your roof, have your gutters and downspouts inspected and cleaned. If water backs up in your gutters because they are filled with dirt and leaves, the damage to your roof, soffits and even your home’s walls is expensive to repair. Simply cleaning your gutters protects you from costly fixes later. If your downspouts end at the bottom of the exterior wall, add extensions or splash blockers to divert water away from your foundation. Put away garden tools and cover or store barbecues, outdoor furniture and toys. Give your porch and patio curb appeal with pots of autumn plants such as Chrysanthemums, Alstromeria, Amaranthus, Carnations and other fall-growing potted plants. As winter nears, add other winter-blooming flowers like Pansies to your pots. If you’re not into flowers, use pumpkins, straw or other dried autumn foliage to brighten up your home. If you plan to have your home on the market after Labor Day, make certain to follow the advice of your real estate professional to present your home in the best possible light to the buyers that search for homes during this time. If you put your home on the market in the Spring, and it hasn’t sold, you’re probably thinking about taking it off the market until next year. Conventional wisdom says that Spring and early Summer are the only times to sell a home. But, even though families typically move in late Spring and early Summer, an entire other buyer group doesn’t care what time of year it is. In fact, many of them wait until after the early market buying frenzy to start looking for a house to buy. Since this buying group comprises disparate (and not desperate) population groups, you may need to market your home differently to each. 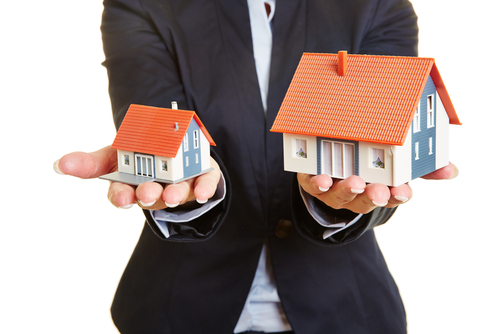 Your professional real estate agent can help you take the best approach(es) with your property. One of the groups that often waits for the slower selling season is the empty-nester / Boomer. They aren’t worried about fitting in with the school year, but often want to be settled before the holidays so that family can visit. When marketing to this group, pay attention to the cultural amenities (music venues, theaters and restaurants), medical facilities and access to travel available in your area. With no children in the home, many in this group look for areas with adult social spaces (outdoor dining, parks—not just playgrounds, beaches or hiking trails), walkable streets and easy access to shopping. Empty-nesters also look for a lower mortgage and cheaper utilities, lower taxes and minimal maintenance costs. After all, they are closer to retirement and want to protect that nest egg. They also look for homes that do not require a lot of upkeep. If you’re thinking of changing your landscaping, flooring, windows or other upgrades to your home, consider utilizing low maintenance versions to add appeal to your home for this group. When marketing to Millennials (or Generations Y and even Z), consider that they have a generation of home design shows on television to inform their ideas of home ownership. Spending a little to update your home’s colors is the first step. To truly hook this group on your home, you may want to spend a little more to address the items they look for most often. According to a recent survey while nearly half of the potential buyers in these age groups look for homes in the city, up to 43% intend to live in suburban or rural areas. In the same survey in 2013 respondents preferred homes where the living and dining areas were joined. If your home has a separate dining room, removing a wall between it and the living room can boost its appeal with this group. When the dining area cannot be joined to the living area, turning it into an office space has the most potential for attracting these young entrepreneurial buyers. Colored walls. Gone are the days of the all-white wall. Younger buyers prefer a deeper neutral on the walls, or even bold color. For neutrals, consider various shades of grays, or warm café au lait with cream trim. Hard flooring. Many younger buyers want hardwood flooring. Or, if you’re in a particularly warm area, a natural tile (slate, porcelain, travertine) that helps keep the air conditioning costs down is preferable to carpet. Public transportation. If your home is near public transportation, a bike path or is walkable to shopping and dining, highlight that in your selling points. Wireless and cell service. You can’t move your home nearer to a cell tower, but you can invest in a booster for cell service for a few hundred dollars if your home is on the edge of cell range. Both groups look for usable outdoor space with low maintenance. 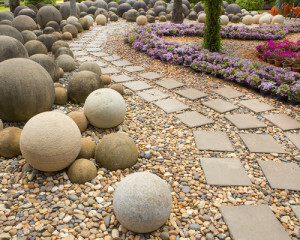 If your lawn requires a lot of upkeep, consider replacing some of it with paver stones, xeriscaping or other low maintenance options that protect the environment and require less intense care. For either group—empty-nesters or Millennials—consider hiring a home stager. Removing the “family” appearance of your home gives it a clean canvass for either category to imaging living there. We can help you determine the best changes to make to sell your home in the Fall, so give us a call to get started. Some homebuyers want nothing but a brand-new home with pristine appliances, sparkling bathtubs and stickers still on the windows. Others look for established homes in neighborhoods with mature landscaping, developed infrastructure and character. Both options carry advantages and disadvantages, so if you’re ambivalent about which way to go, take a moment to determine your actual preferences. A brand new home seems like the perfect option for people that know what they want. After all, you get to pick out the cabinetry, flooring and colors, decide on options and upgrades, and even get to pick out light fixtures and appliances. When the idea of living in a home with new carpet and using a bathroom no one else has used gives you a sense of well-being, you may have a deep “new home” preference. New homes usually come with warranties from the builder and in a slower real estate market, builders offer buyers incentives that may tip the scale. Some options builders offer are upgraded kitchens with granite counters and quieter appliances, or finished basements. Some builders even throw in upgrades that appeal to lifestyle like athletic facility memberships and country club dues, while others might offer to help with closing costs and loan fees. With all the amenities of a new home, what’s not to love? Depending on the market variables, new homebuyers may pay more overall. 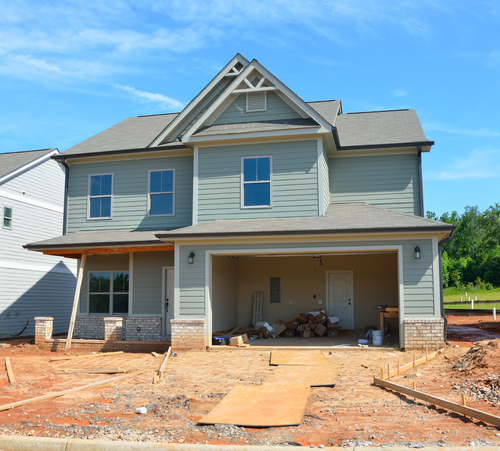 Optional features and upgrades may not be covered as incentives, and since new homes often come with unfinished landscaping, your costs to finish your home are higher than walking into an established home with finished landscaping. If you’re planning to move within just a few years and you’ve bought at the beginning of a development, you’ll be competing with the new, unlived-in homes when you sell. The primary advantage of purchasing a pre-owned home is the established neighborhood, landscaping and known condition. Buying a live-in home means the home is closer to “move-in ready” when you need to move in. Schools, parks and other nearby amenities are “known” and most likely rated so you have a better idea of the neighborhood and community you’re becoming a part of. In addition to its “lived-in” status, existing homes may require major maintenance outlays such as the need for a new roof or upgraded heating and air-conditioning system. In fact, depending on the age of the home, appliances may need replacing and the home could have hidden problems like leaky pipes, mold or termites. Before purchasing a pre-owned home, require a home inspection to uncover concerns that need addressing. If you’ve found the perfect pre-owned home but are nervous about potential problems, ask the seller to provide a home warranty to cover problems in the first years of ownership. Whether you’re determined to buy new or looking for a pre-owned, your real estate professional can steer you toward the best information to make a decision. Visions of lush green lawns, English gardens bursting with color and a sparkling fountain filling the air with the tinkling of thousands of water drops may float through your head when dreaming of your ideal home. 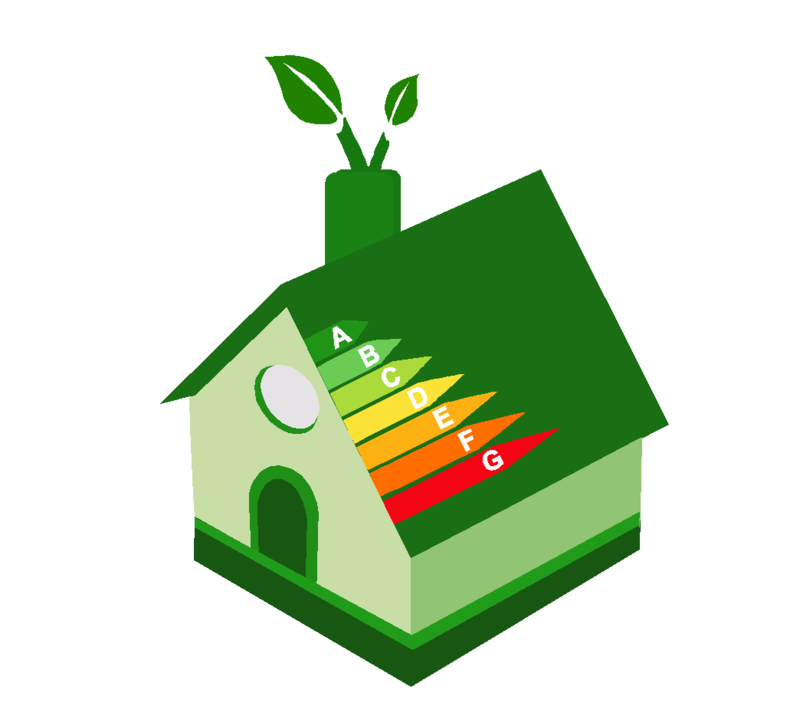 But, you’re responsible, so you’ve planned for your new home to be efficient: changing outdated toilets for modern low-flow versions, installed sustainable bamboo flooring, energy-efficient windows and natural gas appliances and even added extra insulation. So your yard, naturally, should be just as ecologically sustainable. Plan to replace that voraciously thirsty lawn with a beautiful, low-maintenance dry-scape. Dry-scaping (also called desert-scaping, or xeriscaping) is landscaping that uses less water, protects local wildlife and conserves energy while naturally fitting in with the regional environment. Since most climates support a wide variety of plant life, you’ll want to be sure to choose native plants. Before tearing up the existing lawn, however, consider the ways you’ll use the outdoor spaces, the slope and lay of the land and the effort you want to put into maintaining it. Take time to determine how wind, sun, shade and water naturally factor into your property. Hire a professional to test the soil. When property slopes even a slightly, water naturally flows differently than on a flat elevation. You’ll want to place play or entertainment areas at a higher point so that water doesn’t pool in them. Use a lower area for a water feature or for plants that would benefit from the runoff. A professional landscaper or local gardening shop can offer the perfect plants to conserve water and soil. When plants require added water, install a drip-irrigation system that slowly adds water directly to the plant. a drip-irrigation system reduces waste as compared to sprinklers. Drip systems also prevent both evaporation and overwatering. Be sure to preserve any natural existing trees, but replace high-maintenance ones with quick-growing climate positive varietals. Install shade-tolerant plants in the shadow of trees. Consider replacing lawn with heavier ground cover (larger gravel, lava rock, or native plants) to reduce water consumption and protect from erosion. Because lawns offer activity and play area, carefully use materials and designs to enhance the usefulness of your landscape. If you replace turf grasses with pea gravel for a play area—or even mulch, sand, or recycled materials designed especially to use in playgrounds your children’s area can be both easily maintained and functional. Design your entertainment areas with gravel and paver stones in artful combination to beautiful and protect from erosion while requiring less water. Check out these images for some great ideas. Enhance natural landscaping materials like mulch and gravel by using alternatives such as recycled concrete and brick for rock garden and retaining walls, re-purposed rubber tires for playground areas, and tumbled glass “mulch” to add color to raised flower beds and garden walkways. No matter what landscape options you choose, if your yard becomes a haven for weeds or requires lots of effort, its use and your pleasure in it are diminished. Check local requirements for herbicides that work best and are safe for the local environment. Cover bare soil with water permeable barriers or fabric. Layer your gravel or mulch over the fabric making sure it is completely covered. Set timers on irrigation systems. 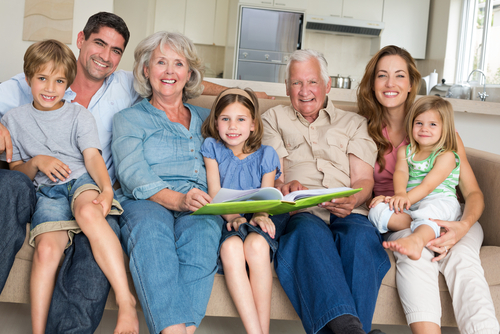 While multigenerational families sharing a home is common nowadays, finding a home that works for everyone is a little trickier. If you’re searching for the perfect house to share with both young children and aging parents, you need to consider a variety of potentialities. While completely mobile now, in the future your parents might need built in aides to negotiate stairs, utilize a wheelchair or walker, maintain their balance, or get in and out of the tub. If you have very young children, maneuvering strollers and car seats in and out of your home benefit from some extra planning too. Your search should include a home with at least one bedroom at ground level. As your parents age, negotiating stairs becomes more difficult. A ground-floor room also allows space for a nanny or live-in aide. Make sure that at least one outside entry door includes a threshold ramp, and can be accessed without stairs. Entryways with shallow steps may accommodate a wheelchair ramp or ease stroller access. Bedroom, bathroom and family area doorways at least 32 inches wide to accommodate walkers and wheelchairs, and 36 inches wide if the chair needs to turn to enter or exit the room. If the door’s maximum opening is 90 degrees (i.e. against a wall), be sure to use the larger door size. If hallways are at least 42 inches wide they can accommodate wheelchairs, walkers and strollers. A handrails on both sides of the hallway can simplify movement for your young one learning to walk and your elder one’s comfort in moving around. In addition to doorways and halls, the most difficult room to accommodate both younger and older residents is the bathroom. A home with at least two bathrooms can accommodate the different needs of your household. For a senior, the bathroom should have a comfort-height or ADA compliant toilet, with a grab bar (not a towel bar), but younger family members may need a stool in order to use the higher toilet. A walk-in shower simplifies bathing for a senior, while children often need a tub. Faucet, door, and cabinet knobs often are difficult for both older and younger family members and can be replaced with a single handle or touchless Round doorknobs should be replaced with a lever-style knob. Change the friction pull cabinet closers for modern magnetic or soft-close styles. Sometimes, you can’t find a home that can accommodate your families needs. You may need financial help to remodel or update a home for a disabled or elderly family member. Several government agencies fund grants that may help cover renovation expenses, or the cost of equipment and supplies required to make a house fully accessible for your loved one. Be sure to inform us, your real estate professional, about your accommodation needs at the outset of your home search. We will focus on the homes that best meet the needs of all those living in the home. The biggest hindrance to home-ownership for most young couples is the dreaded downpayment. In fact, may couples believe that between living expenses and school loans, they’ll never be able to save up enough for a downpayment on a house or even a condominium. If making the move from renting to owning is a priority for you, you’ll need to become aggressive in your savings and spending-cuts. Create a separate savings or money market account for your downpayment monies. Having your money in a separate account helps you avoid infringement into your nest egg when emergencies crop up. In fact, you should set aside about $1000 for emergencies outside of your downpayment savings to cover pesky things like blown tires, unexpected fines or other unforeseen drains on your money. Make a big lifestyle change. If your extended family is on board with your home purchase, see if you can move in with them for a while. A year with the in-laws might be uncomfortable, but in the end you could save an extra $12,000 to $20,000 from rent. Take an extra job. If you can pick up some hours in the evenings and weekends and earmark ALL of the income for your downpayment account you can boost your account considerably. On the other hand, avoid trying to make side money with a hobby unless you already own the equipment (cameras, tripods, etc., if you’re a photographer or saws, power tools and other equipment if you’re into woodworking), because you may end up spending more than you make. Make extreme decisions such as selling an expensive vehicle and driving a less expensive one or ridesharing for a specific period. During this time determine to socialize on a more limited basis … instead of eating out, host a potluck or BYOM barbecue. Evaluate memberships and subscriptions (gym membership, Netflix, cable, coffee of the month) and consider suspending them for 12 to 15 months and redirecting that money into your savings. Or, substitute Netflix for cable and movie night if you’re the type that goes out a lot. Make your savings fun. Create games and competition to see who can save the most. If you’re saving alone, find a friend in a similar situation and create a savings race with them. Don’t forget to set aside a little fun money along the way. Too much austerity can cause stress and friction when you’re used to more extravagant spending habits. So, when you reach a milestone, have a dinner out, or go see a movie. Just don’t slip into retail therapy without specific limits or you’ll just be frustrated when you don’t reach your goals as soon as you planned. If you need more suggestions on ways to save up for a downpayment, or options for loans that require a lower downpayment, your real estate professional can help. We all have our own idea of the perfect place to raise a family. We want our kids to grow up with all the opportunities available to them. That might mean a large backyard or nearby parks, great schools, sports facilities, museums or libraries. You might think a low crime rate or access to shopping should be in the mix too. But the best place for someone else may not be the best place for you. If you check out the cities that rank highest in various surveys, they may be right around the corner from you, or halfway across the country. Before heading off to the suburbs, a new city or a new state, think about what’s really important to you. Moving to the ‘burbs might mean a bigger home with a yard, and great schools. But, you’ll be moving away from all of your friends, so make certain the advantages outweigh what you’re giving up. In each category, cities go up and down over the years, so check the data across several years to see if the location you’re looking at fills the bill. You also need to determine which of those criteria mean the most to you. If your kids are just a gleam in your eye, you’ll want to checkout maternity wards, daycare centers and toddler-friendly playgrounds. If your kids are of school age, however, you’ll want to be looking for a school that offers both excellence in academics and the sorts of extra-curricular activities you child enjoys. Of course, you can read all sorts of lists, surveys and rankings, but if you don’t have an income source there, it might not be the best opportunity for you. In fact, if your children have lots of afterschool activities you may opt for a city lower in the rankings but nearer to work so that your commute is shorter and you can make it to your kid’s play or pick them up after football practice. Some people believe a commute longer than 25 to 30 minutes can significantly lower your quality of life. Sometimes, the best place for you to move and raise a family is the place you know best … and sometimes it’s a place you don’t know anything about. In either case, tapping into the expertise of a local real estate professional can help you find the perfect place for your brood to grow. If you’re looking to move or just want to find the best place for your family near to where you already live, we can help. We know the neighborhoods, the schools, the commute and all the other things you need to know to find the best place for you. Okay, it’s one of the biggest decisions of your life, so when do you know if you’re ready? Homeownership readiness can come at any age … there are young twenty-somethings that took the plunge, and there are empty-nesters that buy after the kids are gone. The right time for you could be now, or anywhere in-between now and retirement. Homeownership isn’t just about affordability (although that’s helpful). It’s about responsibility. When you own your home, you are responsible for the mortgage, the taxes, the insurance, the repairs, maintenance and upgrades. If the toilet overflows, it’s up to you do call the plumber or learn to fix it yourself. When the leaves fall … you get to rake them up. No more calling the landlord, property manager or maintenance staff. Just because you CAN buy a home is not the strongest indicator that you should. Do you still have school debt? If you have debt from education loans, or personal loans and credit card debt from a misspent youth, you may need to work on getting your “financial house” in order before you take on a mortgage too. In fact, debt can be a symptom of not having enough available money. If you tie up all the rest of your cash into a mortgage payment and then your car breaks down … you’ll be out of both your ride and your home. What does your credit score look like? If you don’t already know, get your free credit report and make certain everything on there is correct. Then, get your credit score or sign up for a free monitoring service like CreditKarma or credit.com. Use their online tools to discover ways to improve your score. If your score increases month over month, you’re probably on the right track. 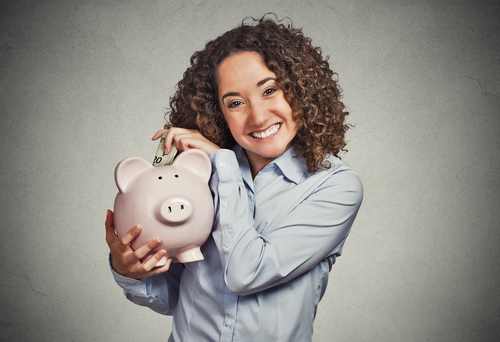 Have you saved up enough for a downpayment? 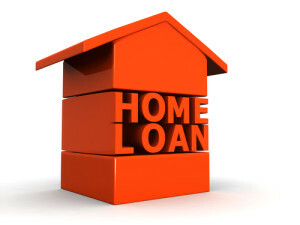 An FHA loan on a $200,000 house requires just 3.5% or $7000, so it seems like a no-brainer, right? But in addition to that downpayment, you’ll have closing costs, insurance, taxes and of course, you’ll need money for new furniture, paint and a few other upgrades. Consider saving up at least double what’s required for the home you want. Consider the monthly costs. Your payment is just the beginning … if you’re moving from an apartment to a home, you’ll have sewer, water and trash bills, taxes, homeowners insurance, association dues and a little money to set aside each month for future repairs. In fact, your little repairs kitty should equal at least as much as the deductible on your insurance. Don’t fall into the trap of relying on online mortgage affordability calculators to determine if you can afford it. Do you plan to stay in this location for a while? If there is a chance that you’ll be moving in a year or two, or even three or four, you might want to reconsider purchasing. You really need to be in your home for five or six years for its value to increase enough to cover those hefty closing costs you just dished out. Well … are you ready? If you’ve addressed each of these issues and know you have them covered, you may well be ready to buy. If you’re ready—we can help! If you’re close to ready, we can give you some pointers. Give us a call and let one of our real estate professionals get your started.